This sulphate free highly nourishing and gentle cleansing shampoo formulated with Colour Protect Complex helps to prevent fading and is suitable for all shades of coloured hair. Enhanced with a combination of Camomile and English Poppy Seed Oil this shampoo provides deep nourishment for vibrant colour results. The result is healthy salon quality hair. Wet hair thoroughly, apply shampoo, gently massage into the hair and scalp and rinse thoroughly. 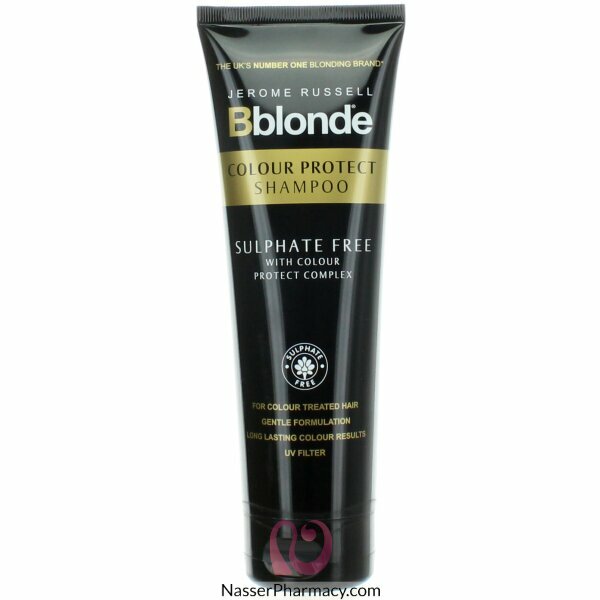 For best results and improved hair condition follow up with Jerome Russell Bblonde Colour Protect Conditioner.